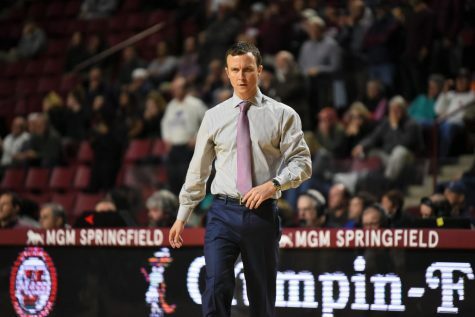 If there’s anything the Massachusetts men’s basketball team learned from its first win of the season against Rider, it’s that no lead is ever insurmountable for a young, scrappy team. The Minutemen (2-0) almost learned that lesson a second time as a rude awakening against another young and scrappy team. Sacred Heart came back from a 15-point deficit to pull the game within four points and 17 seconds left in regulation. 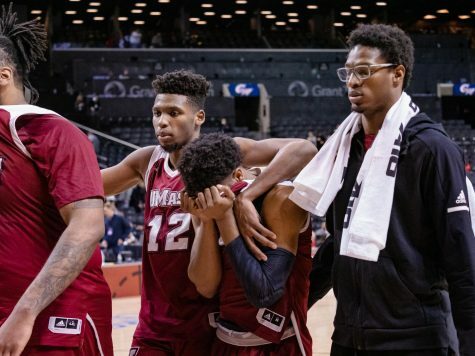 However, it was not enough to replicate the output that the Maroon and White achieved last week as senior Anthony Gurley (18 points, seven rebounds) sunk two free throws to help the Minutemen escape with a 73-65 win. 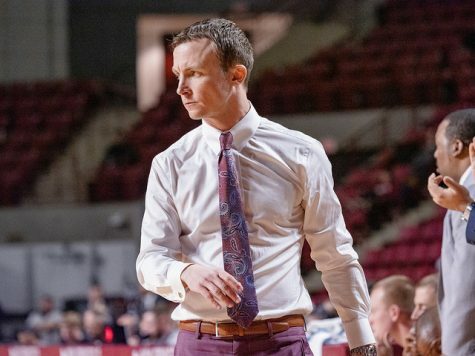 “It’s nice to actually get out of the gate a little bit and work through some kinks but at the same token being able to beat a team in Sacred Heart that I thought played well,” UMass coach Derek Kellogg said. Gurley led all scorers for the second-straight game while sophomore Sampson Carter finished with 17 points and eight rebounds. Coming out of a timeout with 52 seconds left in the game, the Pioneers (0-3) trapped point guard Daryl Traynham (11 points) with a triple-team nearly forcing him out of bounds near half court. 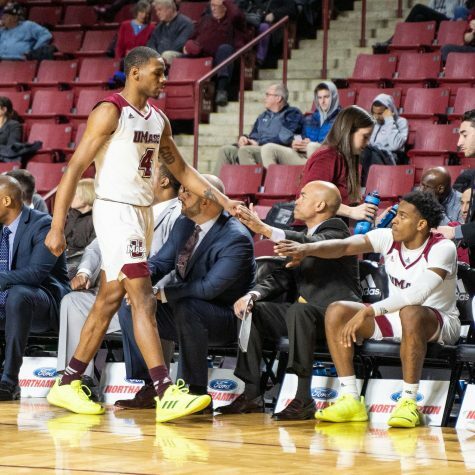 However, UMass coach Derek Kellogg called timeout to bail the freshman out of trouble. Traynham gambled for much of the game, which sometimes resulted in giving his man an open lane to the basket. However, his solid defense (four steals) more than made up for some of his risk taking. Unlike its first performance, the Minutemen defense prevented the Pioneers from making a run early. 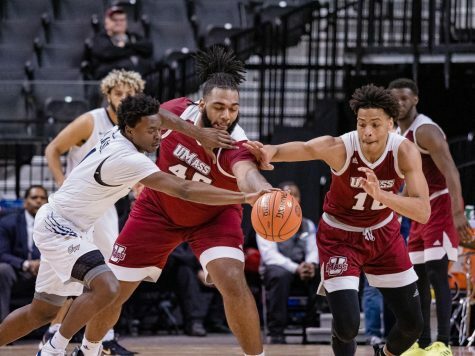 SHU had a difficult time breaking UMass’ full court press, but the offense missed several lay-ups in the early going. 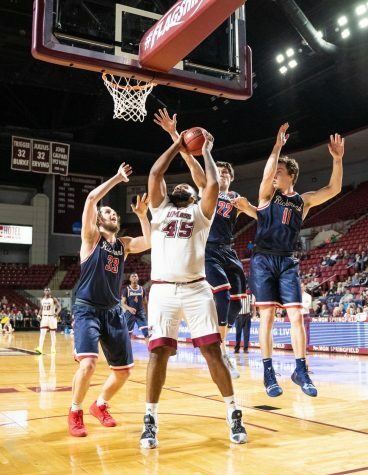 Senior Sean Carter (who finished with four turnovers, three fouls and zero points in seven minutes) had the most frustrating first half of the Minutemen with two fouls and three turnovers in less than seven minutes of playing time. Kellogg attempted to remedy the problem by inserting center Hashim Bailey into the lineup, but he also had problems finishing inside. It wasn’t until the second half that Bailey made his presence known on the defensive end with a block and three rebounds in 11 minutes. Kellogg said these past two games are making him worry about why his team is getting off to slow starts thus far. This game is particularly puzzling for him because of how many missed shots came close to the basket. 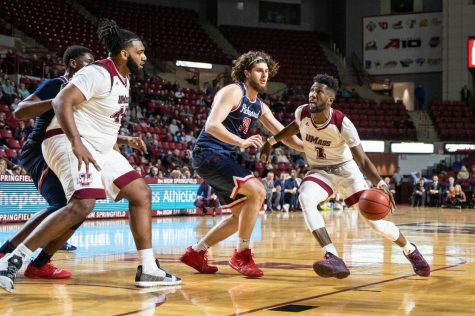 Forward Matt Hill, who contributed largely on the defensive effort in the win against Rider, once again made the most of his eight minutes with two steals and a block in the first half. 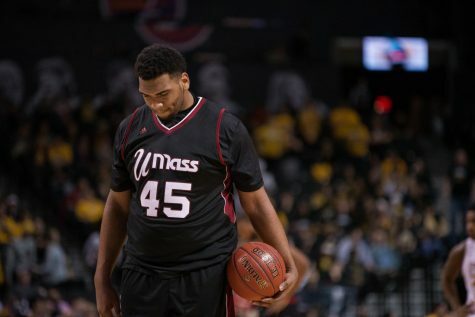 The Minutemen went on a 6-0 run to end their dry spell and took command of the game. 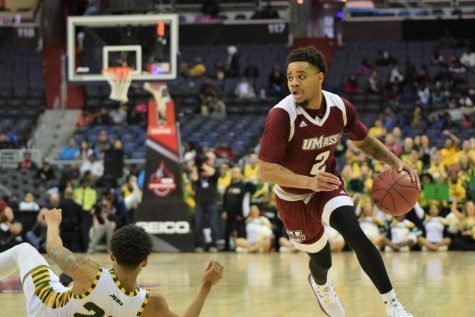 UMass extended its lead to 30-20 with 2:58 to go before the break. However, SHU shortened the deficit to seven points at halftime. Coming out of the break, the Pioneers went on an 8-0 run to give them a one-point lead, but Traynham and Hill’s baskets put the Minutemen back in the lead for the remainder of the game. 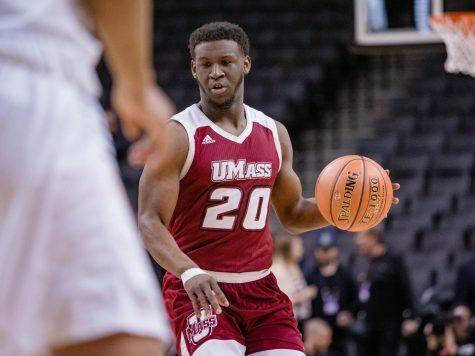 The Minutemen continue the Hall of Fame Tip-off Tournament in Springfield with games on Saturday against New Mexico State and Monday against Texas Christian.